Backup all data on your iPhone, iPad, and iPod touch both automatically and selectively. Restore whatever you want to iOS/Android. Restore iTunes/iCloud backup flexibly to iPhone/iPad. iPhone plays an integral part of our digital lives today. But unfortunately, data loss is inenvitable, no matter how careful you are. So backing up iPhone/iPad on a regular basis is the best way to protect our precious photos, contacts, sms, etc. 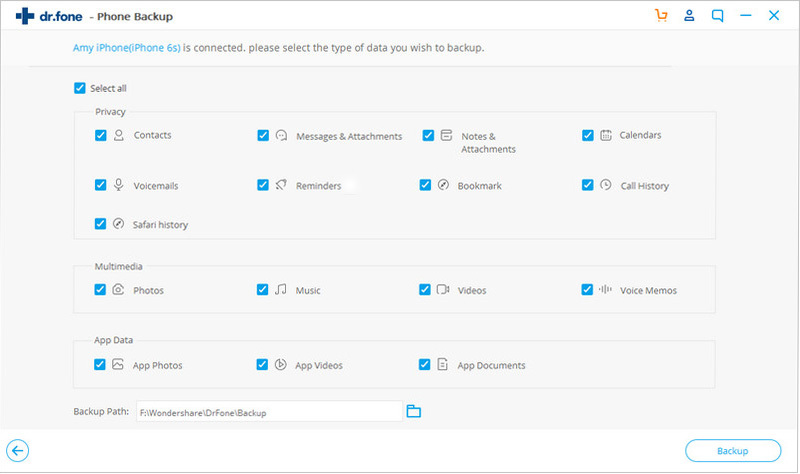 Comparing to iTunes/iCloud backup, iSkysoft iOS data backup solution can backup and restore iPhone data more flexibly and conveniently. Supported Data Types: Photos, Contacts, Videos, Messages, Call history, Notes, Calendar, Reminder, WhatsApp messages, Voice memos, Voicemail, Messenger, Safari bookmark, App photos, App video, App documents. If you've backed up your iPhone/iPad with iSkysoft toolbox before, you can always preview the backup and select the data you need to restore them to iPhone/iPad. The restore process will not overwrite any existing data on the device. More flexibility and more control over data restore. When we restore iTunes backup to iPhone/iPad with Apple's way, it will overwrite all new data on the device. This is frustrating. With iSkysoft iOS data backup and restore solution, we can preview the data in iTunes backup, and select only what we need to restore. It will not affect all existing data at all. The only oppotunity Apple allows us to restore iCloud backup to iPhone/iPad is when we setup the device. Now, with iSkysoft iOS data backup and restore, we can browse the iCloud backup, select the files we need and restore them to iPhone/iPad. No need to reset iPhone/iPad first. When it comes to exporting data to computer, iOS users meet more barrier than Android users, as iOS is a more "closed" system. Luckily, we got iSkysoft iOS data backup and restore. It allows us to export iPhone/iPad data to computer as .html, .csv, and vCard file. Supported data types: contacts, messages, call log, notes, calendar, reminders, Safari bookmark, photos, videos and more. This versatile iPhone backup software offers more useful features simplify your iOS life. Preview and extract data directly from iTunes/iCloud/iSkysoft backups to computer. iPhone Backup file made by iSkysoft is allowed to be restored to another iOS/Android device. View all content before restoration. You have complete control over what to be restored to your phone. Step 1: Launch iSkysoft Toolbox and select Backup&Restore/. Connect iPhone to computer. Step 2: Select the file types you need to backup or just backup all files. Step 3: Wait until the backup completes and view the backup content. 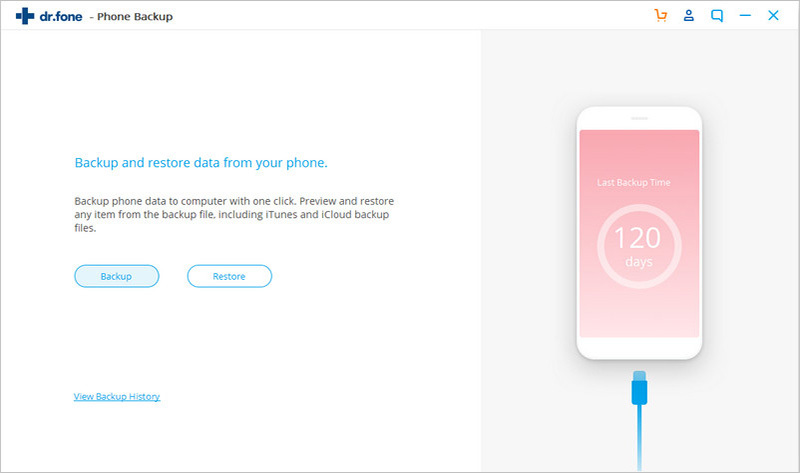 iSkysoft Toolbox supports to backup data on basically all iPhone/iPad/iPod touch models, including the latest iPhone XS (Max), iPhone XR, iPhone X, iPhone 8, iPhone 7 Plus, new iPad Pro, etc. I use this tool always for my data backup and restore, it has never disappointed me. Backup and restore process was never so simpler and interactive. This software interacts with the user so well. 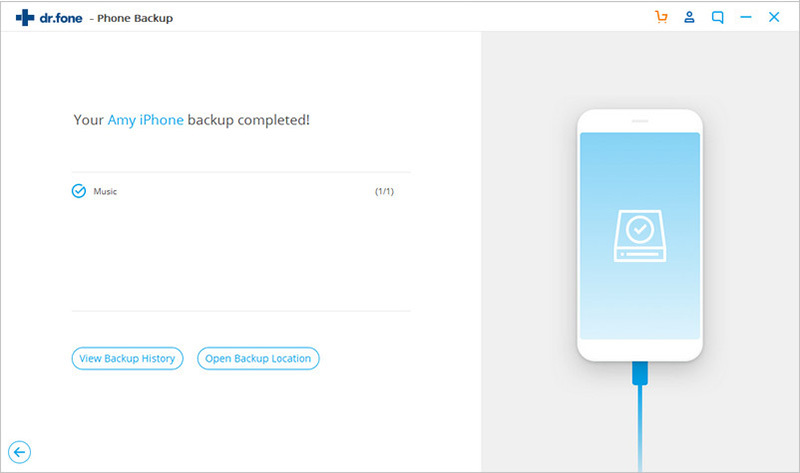 Both backup and restore are handled in very unique and interesting way.Liked the way the app works.